British and American intelligence documents obtained by former NSA contractor Edward Snowden reveal agencies in the United States and the UK targeted former Israeli Prime Minister Ehud Olmert for surveillance in January 2009. Former Israeli Defense Minister Ehud Barak was also marked, The Guardian reports. Israel will get its first Bitcoin ATM machine in March. The ATM, which will be located in Tel Aviv, allows users to convert regular currency into digital currency called Bitcoins. One Holocaust restitution group says hundreds of items stolen from European Jews by the Nazis may be on display in Israel’s most prestigious museums and galleries. It’s collaborating with the Israel Museum, the Tel Aviv Museum of Art, and others, to help return the pieces to their lawful owners. Ever wonder about the origins of those Jewish surnames you heard in synagogue, at Hebrew school or at summer camp? Slate (in a re-post from Jewish Currents) breaks down the roots of popular Jewish last names by place, occupation, personal traits, animal names, Hebrew acronyms, and more. 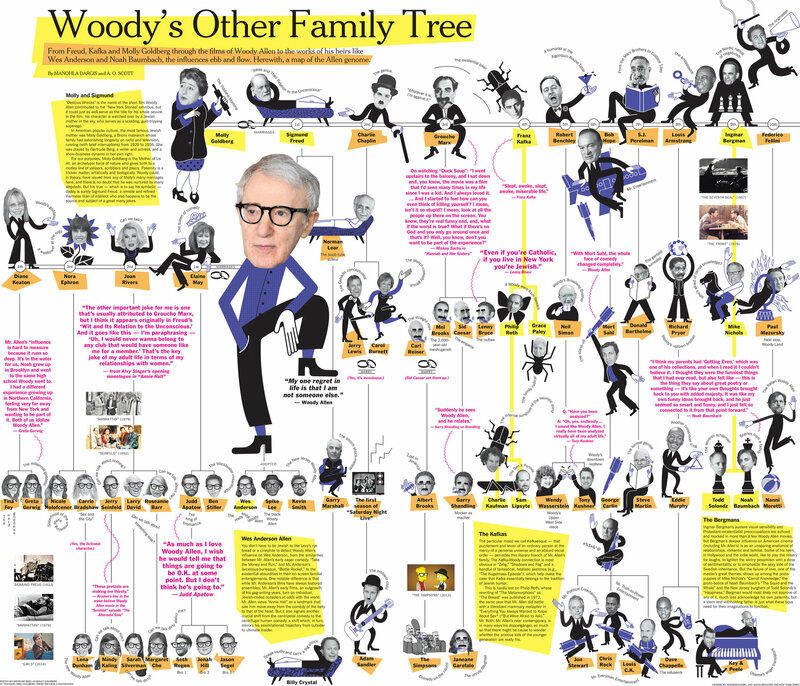 The New York Times imagines Woody Allen’s pop culture genealogy, with branches including Judd Apatow, Dave Chappelle and Federico Fellini. One Direction star Harry Styles’s alleged interest in Judaism has drummed up controversy in the gossip world, with England’s Daily Mail reporting the tween pop star has developed a fascination with Hebrew and Jewish culture through his friendship with music video director Ben Winston. “He loves the Jewish community and wearing a Magen David,” Winston said, according to the Mail. Winston, however, took to Twitter this week, saying his quotes were fabricated.